Here’s the video for the super blissed-out track “Shine” off their 1991 EP, Holding Our Breath. Recommended uses: celebrating the return of a magical era, chasing forever, laying around in a grassy field, and seeing how long you can hold your breath. It’s exciting to see some of the true shoegaze bands from the original era getting back together. I was doing flips last year when My Bloody Valentine made the announcement that they would be releasing a new record and doing shows again. 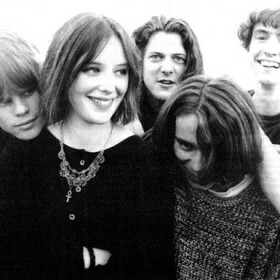 So far Slowdive only have one show booked in the United States – Pitchfork Music Fest July 20th – but if you’re around Europe seems you will have a few more chances to catch a show.